Earlier today, TMZ was first to report that Marvel Comics co-founder and Spider-Man creator Stan Lee had passed away at 95. 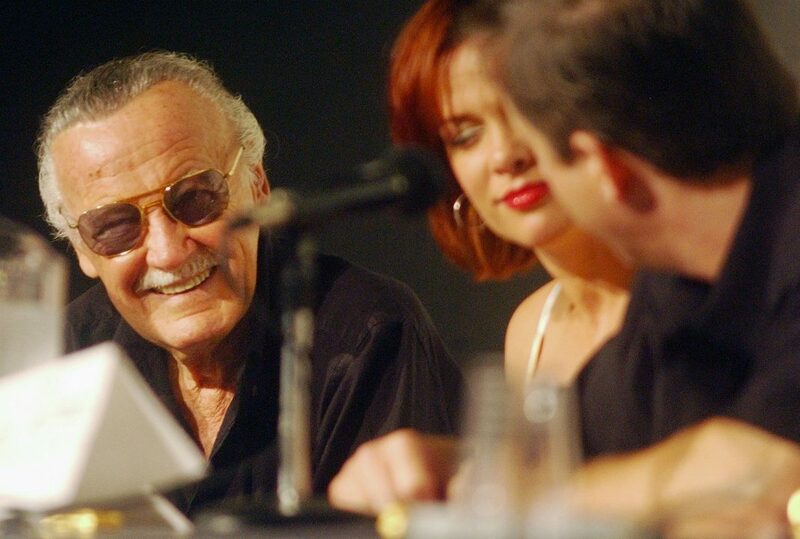 According to his daughter, the legendary comic book author was rushed to Cedars-Sinai from his home in the Hollywood Hills early this morning and passed away at the hospital. He’d recently been in poor health. Lee was a longtime friend of Bill Liebowitz, who opened Golden Apple Comics in 1979. Liebowitz once told the L.A. Times, “I wanted to do not just a narrow-focus store but a pop-culture store. It was an unexplored medium.” Liebowitz’s son Ryan took over operations at the store shortly before his father’s 2004 passing. Ryan’s wife, Kendra Liebowitz, was at the store this morning when news of Lee’s death broke. “He will be terribly, terribly missed,” Kendra says. She had already placed a black armband on the Spider-Man statue that stands outside the shop—which was signed by Lee at the store’s grand reopening when it relocated to a new storefront, due east on Melrose from its original location—and had purchased flowers to place around the statue to create a place for fans to mourn. “Hopefully people will bring their own memorials,” she says.